For as long as people have been wearing clothes, fashion has been constantly changing by leaps and bounds. And while things like tunics and togas have given way to t-shirts and cocktail dresses, boots pretty much nailed it right away. We don't mean they've never changed, because obviously today's boots are much better quality, but they are still things that go on your feet, and if you're wearing the right kind, they make your ensemble look absolutely stunning! 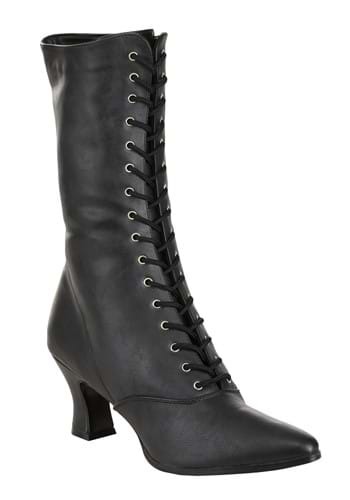 If you still aren't buying it, just check out these chic Victorian Boots. They can add some fierce flair to almost any costume you might be needing footwear for, even if it's not a Victorian era costume. These fine faux leather heels would work on your pirate outfit, or a costume from the Middle Ages, or with more fantastical looks, like a steampunk or gothic vampire ensemble. Trust us, whatever your costume may be, it'll be even better with these sassy boots!